In the shadow of the infamous Matterhorn lies the atmospheric and peaceful mountain village of Zermatt located in southwest Switzerland close to the Italian border. The fact that the skiing in Zermatt is suited to all experience levels means it is a popular resort, and yet the fact that it has remained small and unspoilt means it is ideal for families and couples after a winter escape. The mountain peaks that surround Zermatt rise to a breathtaking 4,000 metres and are home to 195 kilometres of ski runs, with the longest being an impressive 22 kilometres. Expert skiers won’t get bored, as there are plenty of challenging pistes in the area, while there’s plenty of fun to be had for intermediates. For beginners there’s a ski school where you can also learn how to snowboard. With 7 kilometres of cross country skiing on the doorstep and the Kleine Matterhorn terrain park being heaven for snowboarders there’s plenty of challenges to be had. For those of you that don’t want to ski or snowboard everyday take a hike along one of the winter walking trails or go tobogganing. Sleigh rides through the peaceful snow covered mountain terrain are both relaxing and romantic. Play tennis or watch a film at the local cinema. You can even take a helicopter ride and admire the Swiss Alps from above. Back in Zermatt there are plenty of shops and cafes to while a way an afternoon off the slopes. 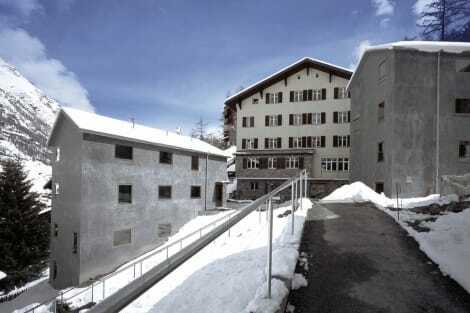 Visit the Matterhorn Museum to discover the fascinating mountaineering history of the region. In the evening unstrap your skis and head straight to Hennu Stall and order caramel vodka to enjoy on the terrace of this bar on the Klein Matterhorn. Down in Zermatt the Vernissage Bar is a sophisticated lounge bar that not only serves cocktails but also has a cinema and exhibition space within the building. Eat bratwurst at Bayard Metzgerei or try fondue at Café du Pont. The Igloo Bar is worth a visit for its ice sculptures and view of the Matterhorn. If you want an unspoilt Swiss mountain retreat with masses of great skiing, incredible views of one of the most famous mountains in the Alps then don’t delay and book your ski holiday to Zermatt with lastminute.com today. 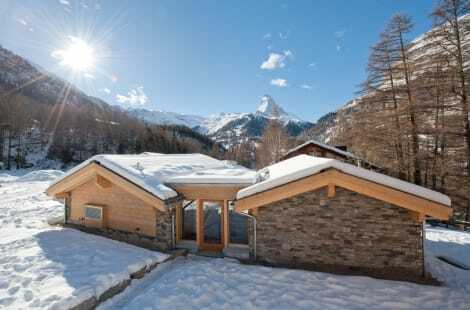 Very soon it could be you taking to the slopes of the mighty Matterhorn. 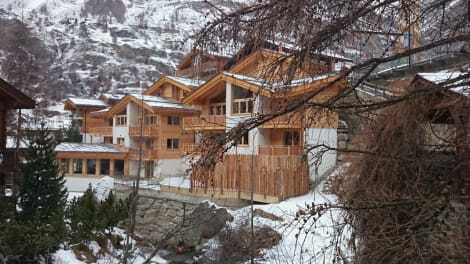 For alternative ski breaks have a look at France ski holidays with lastminute.com.